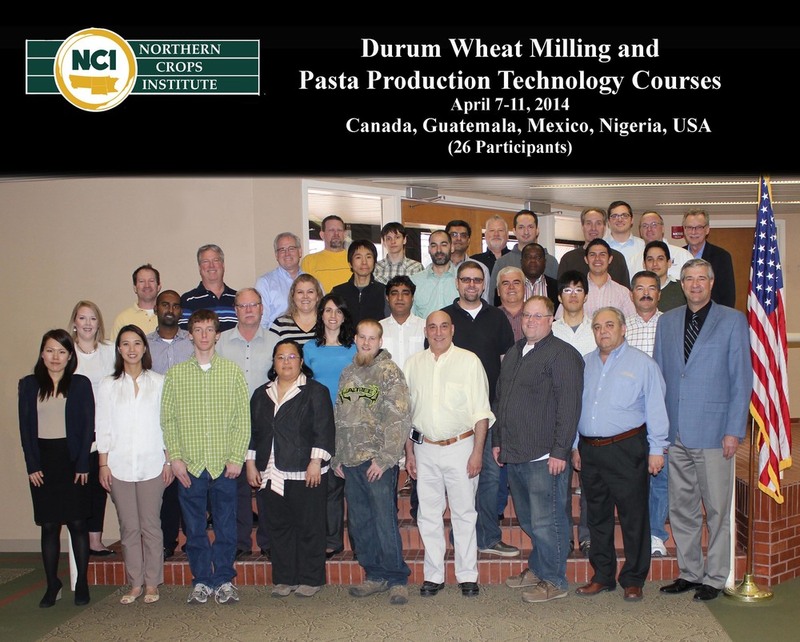 Fargo, N.D., USA -- The NCI/IGP Durum Wheat Milling Short Course is underway at Northern Crops Institute (NCI) in Fargo, N.D., and runs through Wednesday, April 9. The course is co-sponsored with the International Grains Program (IGP) at Kansas State University. Lead instructor is Mark Fowler, IGP Associate Director and Milling Specialist. The course is coordinated by John Crabtree, NCI Assistant Director. Eleven participants from Guatemala, Mexico and U.S. are attending. The course is designed to give participants a better understanding of the durum milling process and add insight into milling performance and semolina quality. Most of the participants will stay to attend the Pasta Production and Technology course that runs April 9-11. “Combining the milling expertise of IGP’s Mark Fowler and NCI’s flour mill that can process both durum wheat and hard red spring wheat provides a very strong milling program for our course attendees. This partnership makes for a unique educational course,” says NCI Director Mark Weber. “This course focuses on the advanced principles of durum milling, covering the specifics of durum milling and how durum milling may be different than the milling of other classes of wheat,” says Mark Fowler. 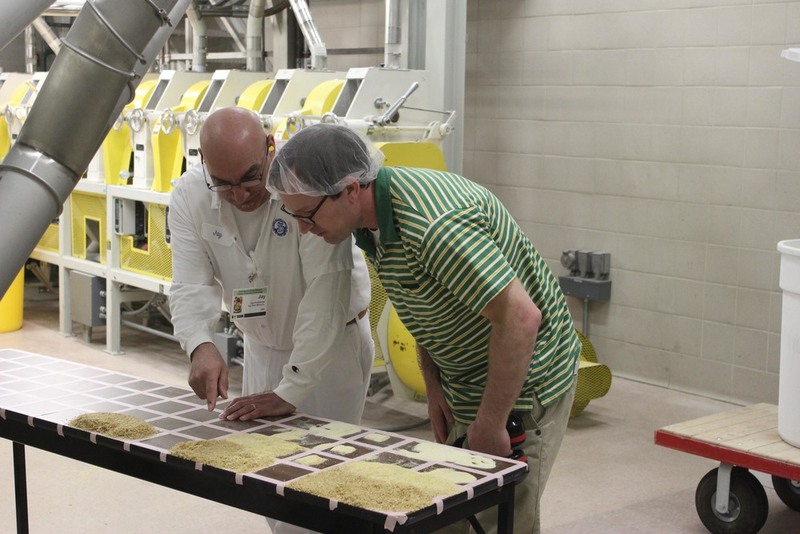 “Through lectures and demonstrations, we are covering the principles of durum milling, the impact of durum quality of semolina extractions, and how semolina quality can impact pasta manufacturing. The durum course is an excellent opportunity to collaborate with NCI and share my expertise as a technical miller,” he concludes. NCI’s pilot-scale mill was converted in 2009 from a durum mill into a swing mill to give the region the capability to mill pilot-scale or test-scale quantities of durum or bread wheat. The mill is capable of milling bread flour, durum semolina and whole-wheat flour. Flour milling capacity of the mill is 200-300 pounds/hour, a larger quantity than a laboratory scale mill can produce. Additional course speakers are: Elias Elias, Ph.D., NDSU Department of Plant Sciences; David Hahn, Ph.D., NCI Director of Technical Services and Business Development; Frank Manthey, Ph.D., NDSU Department of Plant Sciences; Franz Signer, Buhler; Andrew Swenson, NDSU Extension Service; and Simon Tiedge, Buhler, Inc. Highlights include handling and blending, equipment, plant maintenance, and hands-on experience in the NCI pilot-scale Durum Mill and the NCI Pasta Extrusion Laboratory. Course topics include objectives of durum wheat milling, durum wheat variety development, durum wheat selection, durum wheat cleaning, durum wheat tempering, durum mill flow sheet analysis, grinding and sifting, purification, air utilization, product quality control, and plant management. The International Grains Program (IGP) is part of the Department of Grain Science and Industry at the Kansas State University. The program is designed to educate foreign business leaders and government officials about U.S. grains and oilseeds through technical training and assistance programs in grain storage and handling, milling, marketing and processing. IGP supports marketing activities by national farmer commodity organizations. Northern Crops Institute (NCI) is the international center for meeting and learning about crops produced in the four-state region of North Dakota, South Dakota, Minnesota and Montana. Situated on the campus of North Dakota State University, NCI exists as a forum to bring together customers, commodity traders, technical experts, processors and producers from all points of the globe for discussion, education, and technical service programs.